You know how cats like to bring home dead birds or mice ... something gross to show you how much they love you. 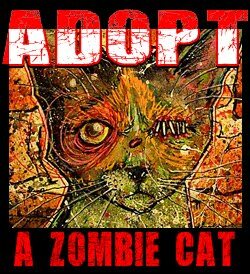 Well ... zombie cats do the same thing, only with human body parts. And it probably isn't being done to show affection ... it's probably being done to show you what is going to happen to you if you ever leave the security of your boarded up home. The zombie cats are coming to find you and nom on you until there's nothing left but your bones. 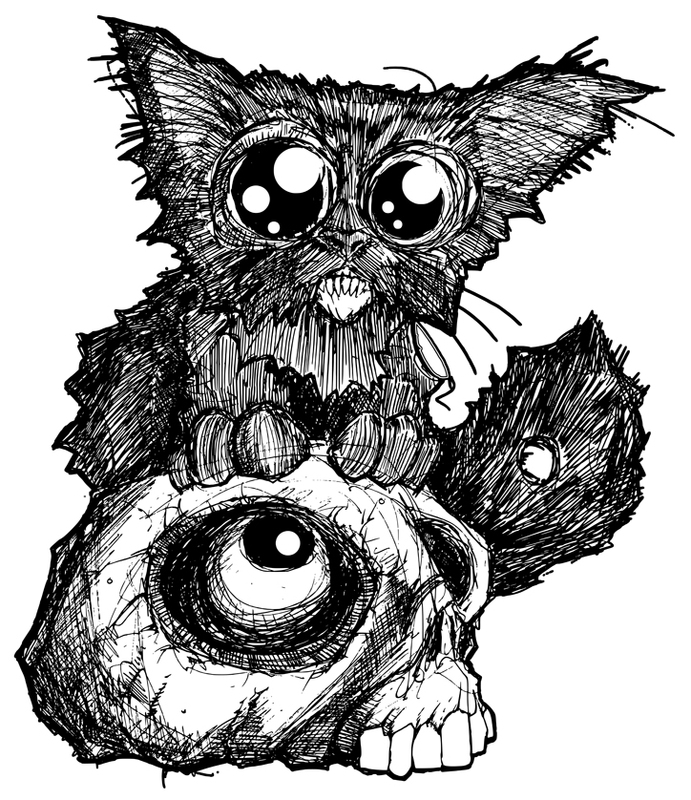 This black furry zombie kitten is available on a tshirt over at teespring and on this page. The original artwork is also available here.